Songs I am doing my best to get myself ready for Monday morning, but it has not been easy. Today was a beautiful, sunny day spent with family. It was so peaceful and relaxing, with no schedule and no demands. But alas…tomorrow is Monday, the beginning of a very busy work week. One that I am not looking forward to. What to do? 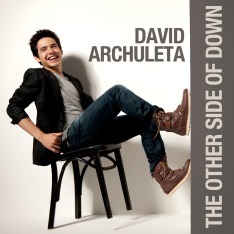 Well, I do know of one thing that has helped to get me going in the past; it is one of David Archuleta’s songs. Tomorrow morning when I get up, I will play that song and it will get me moving. It will make me want to dance, sing and jump around. It will put a smile on my face and I know, as I am headed out the door, I will be humming it while I get ready to begin my busy week. This song has helped to give me the incentive I need to face the things that I am not always excited about doing—whether it is cleaning the house, running errands, or facing a Monday morning. Anything that takes motivation, David’s song has helped to get me started. Now I would like to share that song with all of you! The Song of the Week is…. Because “Zero Gravity” never made it onto David’s debut album (though in my humble opinion, it should have), the only information I have about the song comes from David himself. He first performed the song in concert at the Sandler Center in Virginia Beach, VA, on February 25, 2009. Here is the video of that performance in which David talks about his song “Zero Gravity”. He co-wrote it with his guitar player, Mike Krompass. Just for fun, I decided to include another version of “Zero Gravity” that was also performed in Virginia, but this one is six months after David’s first performance there. Watch as David jumps all around the stage and really gets into the song. Much different from his first time performing the song. I love his energy! The song “Zero Gravity” became so popular at concerts among David’s fans, that Jive Records made the decision to allow David to release it to the public through i-Tunes, in a Fan Pack Bundle in the spring of 2009. Here is that studio recorded version. Make sure to turn up the volume for this one! Request “Zero Gravity” at Radio Disney! “Zero Gravity” gets me going too! Gosh, I too joined the jumping up and down at the concerts. It is a great energetic song. I just listened to every one of these videos and I am HYPER! Right now. Shoot, I didn’t think I had any more energy after my “Monday” at work. haha. Thanks! Great song! One of my all time favorites, love to watch David sing this song, he really put his personality into it! I have to say that ZG is one of my all time favorite songs from David and its alot of fun! I wish he was on his first CD but I am very happy it was released in the fan package. wonderful song and I hope to hear more like it from david in the future. Hi Katie! Zero Gravity needs to be played every Monday! You can’t help but feel his energy on this one. I absolutely love it and as your video clips show he really grew to enjoy it as much as the fans. I always have to jump when I hear it…bad knees and all! Excellent choice Katie to help get us though another work and school week!